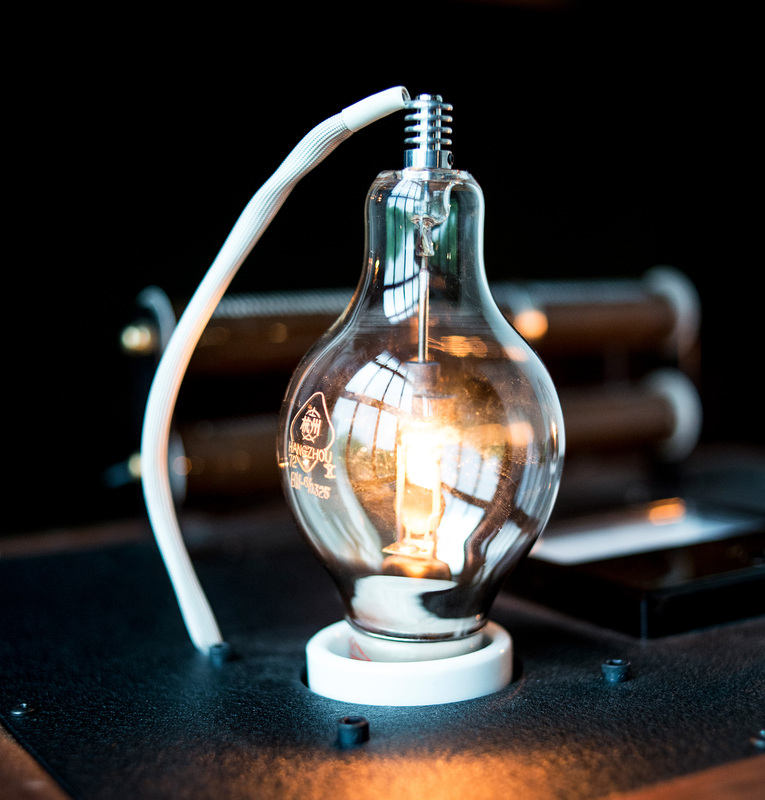 The Tungar rectifier bulb was developed by General Electric in 1916 as a practical way to rectify AC (alternating current) to low voltage DC (direct current). 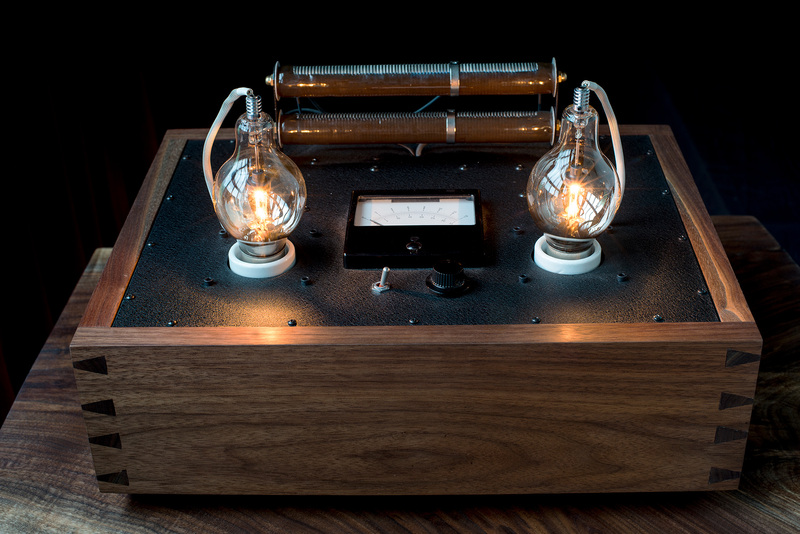 It was used extensively in the 1920's and 1930's to power field coil loudspeakers. While inexpensive, small solid state supplies long ago replaced Tungars, the sound quality afforded by the earlier technology has never been equaled. The OMA TS-1 is our no compromise, proprietary design and features a huge variable resistor for the ultimate sound quality. The NOS Philips professional voltmeter allows the user quick, easy and very fine adjustment of the DC voltage. 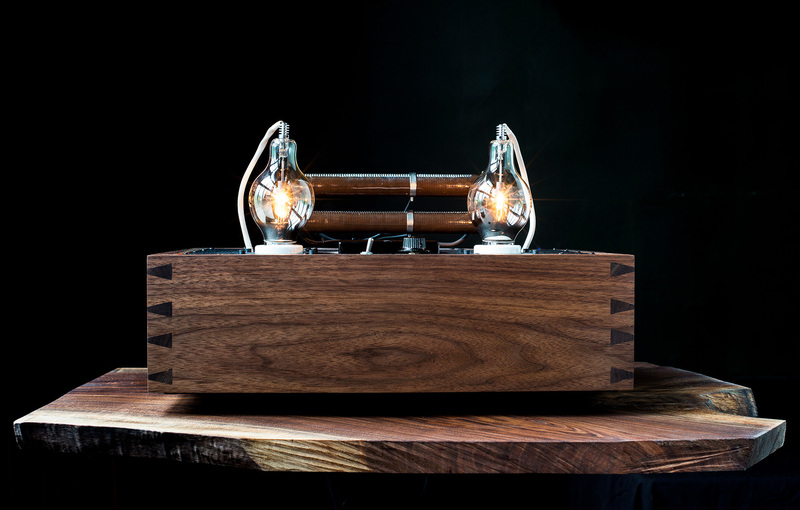 With huge custom wound transformers, and mil spec components housed in our classic hand built, dovetailed Pennsylvania black walnut casework, the TS-1 will last more than a lifetime.